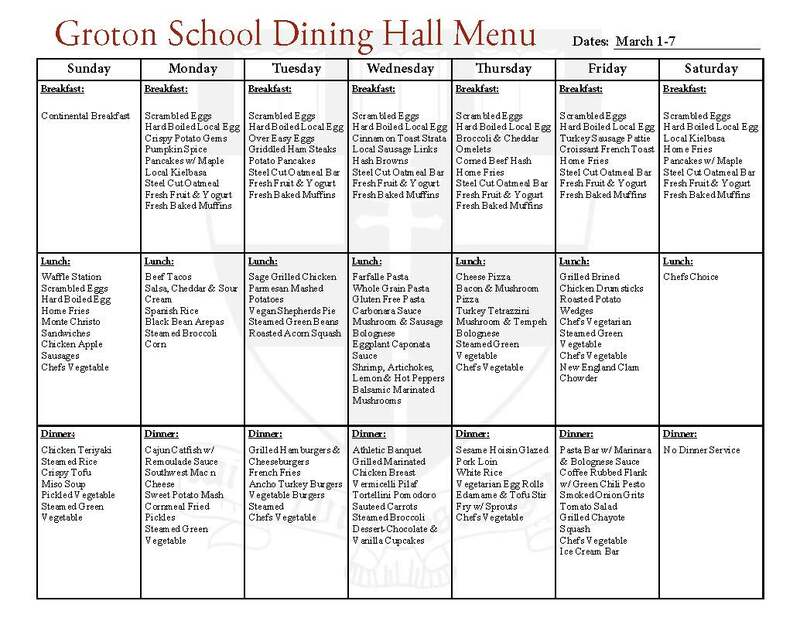 Groton School intentionally welcomes students from a wide range of backgrounds, and many volunteer for the Diversity and Inclusion Committee. 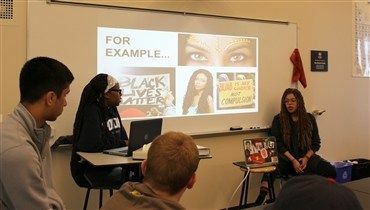 The group plans thought-provoking events and workshops and facilitates discussion, sometimes on difficult topics, that helps students live and learn together with respect for and celebration of our differences. Guest speakers, followed by small group discussions, challenge the community to think deeply. 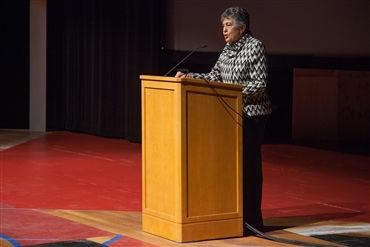 Working with the student committee is the faculty Diversity and Inclusion Committee, which includes representatives from different academic departments, as well as the school chaplain, counselors, and dean of students. Read Headmaster Temba Maqubela’s article about inclusion in Independent School magazine. On the evening of Monday, April 2, students and faculty split into small groups for a Diversity & Inclusion community gathering, discussing a variety of important topics affecting society and the school community. 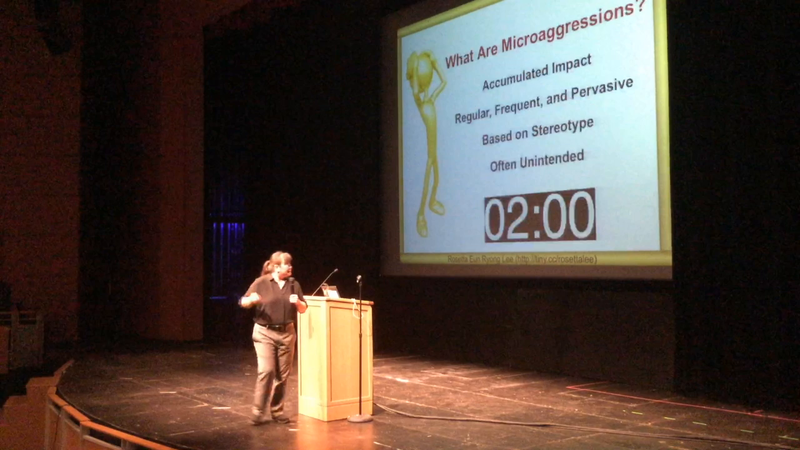 A recent Diversity and Inclusion workshop replaced Saturday morning classes with provocative meetings—almost all student-run—on difficult subjects of societal significance. The aim: to help students learn to listen, learn, and empathize. 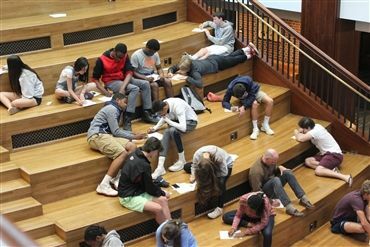 Groton students grappled with thorny issues of inequality, power, ethics, and identity during special Diversity and Inclusion workshops on Saturday, April 16. 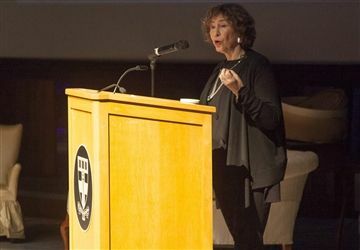 Unveiling Life in the "Republic of Imagination"
Before author Azar Nafisi took the stage at the Campbell Performing Arts Center on Monday, November 5, a video showed fun-loving young Iranians posing and dancing to Pharrell Williams’ “Happy,” reinforcing the sense that they shared the free-spirited optimism and vitality of contemporaries worldwide. 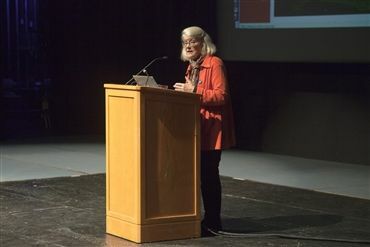 Harvard Professor Diana Eck introduced Groton to the plurality of religions all over America—and right in our back yards—during an all-school lecture on Groton’s Global Education Day, Friday, November 3. Actor and singer Ali Stroker inspired and entertained during a Circle Talk on Tuesday, February 7, surprising students who may not have known what to expect from a performer who uses a wheelchair. 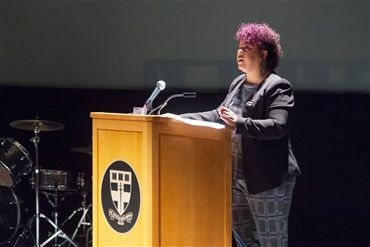 Groton School remembered Dr. Martin Luther King Jr. on Monday, January 21 with a provocative talk by activist Rosa Clemente, student music and dance performances, and afternoon workshops that encouraged deep discussion on difficult topics. It was 1957, three years after the Supreme Court had struck down school segregation in Brown vs. Board of Education, when about four hundred students at a black high school in Little Rock, Arkansas, volunteered to be among the first to integrate all-white Central High. 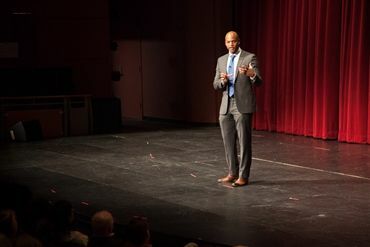 Best-selling author Wes Moore gave an impassioned lecture at Groton on Martin Luther King Jr. Day, channeling Dr. King’s belief in the power of action, rather than just conviction.